[e-spres-oh] is a digital development company, with offices in Timișoara and Oradea, focused on creating amazing success stories. Our services include all kind of development solutions, from small web or mobile apps to full-featured online platforms. 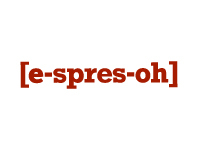 More than that, [e-spres-oh] is us, a team of developers who love to create, share, learn and evolve. We’re pursuing our passion with every cup of hot espresso we drink and with each line of code we write.